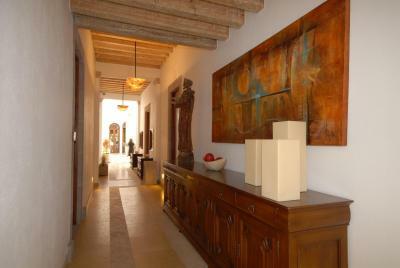 Lock in a great price for Hotel Boutique Casa San Diego – rated 9.1 by recent guests! Hermoso hotel a unos pasos del centro. Ideal para un viaje de pareja. El hotel es hermoso, las habitaciones impecables, el personal súper amable. Siempre un gran placer quedarse ahí, la cama es simplemente perfecta. El hotel es lindo, superó mis espectativas, las fotos son tal como están las instalaciones, del centro caminando a 15 o 20 minutos, cerca del templo de la Virgen de Guadalupe, El personal muy amable, las habitaciones muy comodas y bien decoradas. La ubicación está muy bien la anotación está bien no me gustó que el parking está en otra calle. Todo, la habitación, el silencio y tranquilidad del lugar. Excelente Actitud de Servicio de la Srita. de recepción. Felicidades!!!! Excelente costo beneficio. Si bien el hotel no está a un costado de la catedral, está muy caminable. Con respecto a la calidad del hotel, es el mejor en el que estamos estado después de pasar por varios en el centro. Las habitaciones son muy comodas, espaciosas, con bonito diseño y el personal es muy amable. 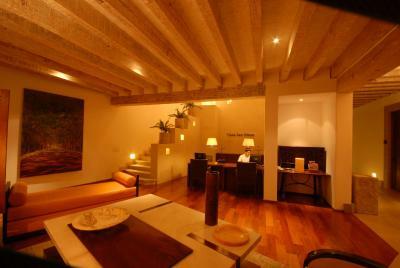 Hotel Boutique Casa San Diego This rating is a reflection of how the property compares to the industry standard when it comes to price, facilities and services available. It's based on a self-evaluation by the property. Use this rating to help choose your stay! 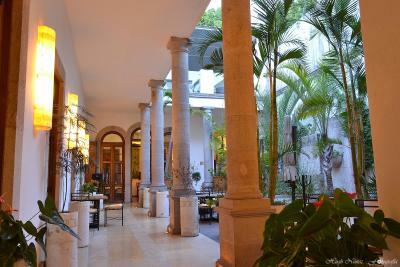 Located in the center of Morelia, Design Hotel Casa San Diego offers free Wi-Fi and free private parking to guests. The air-conditioned rooms at Casa San Diego have flat-screen cable TV and a work desk. They feature a private bathroom with free toiletries. A la restaurant "Versalles" serves international food. 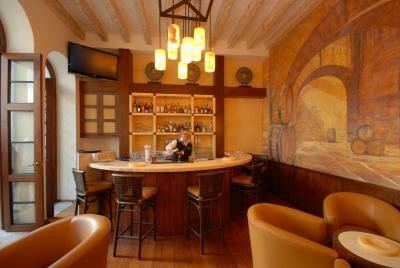 Guests can also avail of the bar. The Historic City Center of Morelia and Museo del Dulce are 20 minutes’ to walk from Casa San Diego. Morelia International Airport can be reached within 40 minutes by car. 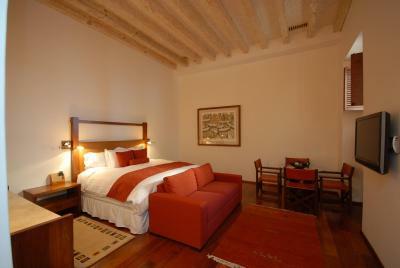 When would you like to stay at Hotel Boutique Casa San Diego? This room features a king-size bed, a sofabed and flat-screen TV with cable channels. It also has a dining area. Some of these rooms have city views and views of the aqueduct. Please note that the room rate is based on 2 guests. The maximum occupancy is 3 guests (see Hotel Policies). 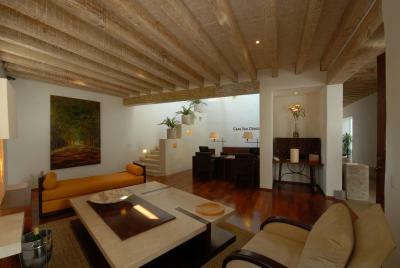 House Rules Hotel Boutique Casa San Diego takes special requests – add in the next step! Hotel Boutique Casa San Diego accepts these cards and reserves the right to temporarily hold an amount prior to arrival. No Breakfast served! A coffee machine in the Room would be nice! The whole place is beautiful! 1. Coffee maker in room but no coffee was provided and it required a special pod that was unavailable in stores. 2. Arrived Sunday afternoon and the hotel was deserted. No services available either. Strange feeling. 3. Maid talked on her cell phone in the inner courtyard so her voice carried to all surrounding rooms. Annoying and inconsiderate. 4. Maid mopped tile floors so they were wet while I approached and motioned me to walk on them. Dangerous and unnecessary. I would not return nor recommend this hotel.